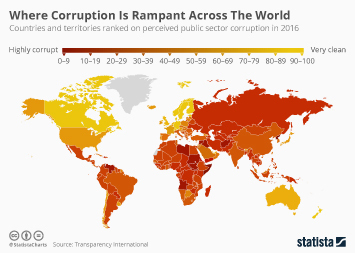 On Wednesday, Transparency International released its 2017 Corruption Perceptions Index which measured perceived public sector corruption in 180 countries and territories on a scale of 0 to 100. 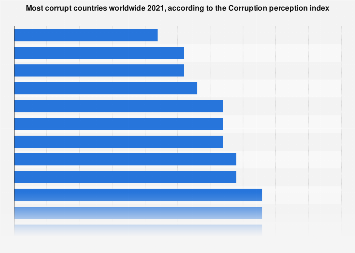 The research found that most countries across the world are making little or no progress in ending corruption. The ones scoring close to 100 are successfully containing corruption while those scoring 50 or lower have serious problems. The average global score was only 43. 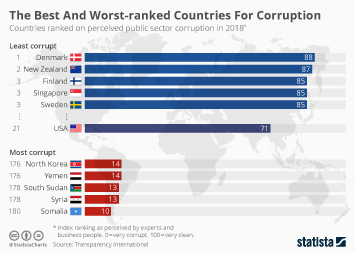 Some governments have seen noticeable improvements in their scores over the past six years with the Ivory Coast, Senegal and the UK all making progress. Others had to endure a slide with Syria, Yemen, Australia and Hungary all deteriorating. The latter in partcular saw its score fall ten points over the last six years. It could fall even further in the future if draft legistlation is enacted that could restrict NGOs and revoke their charitable status. 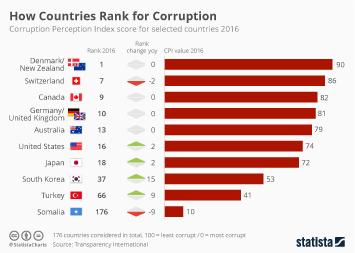 New Zealand was ranked the world's least corrupt nation in 2017 with a score of 89, ahead of Denmark with 88. Third position was a three way tie between Finland, Norway and Switzerland who all scored 85. 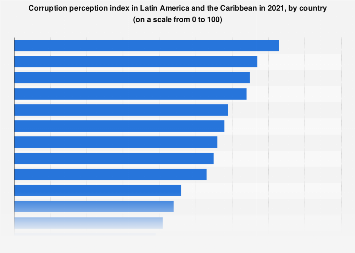 Syria, South Suda, and Somalia were at the bottom of the index with all three scoring lower than 15. Along with Austria and Belgium, the United States came 16th with a score of 75. 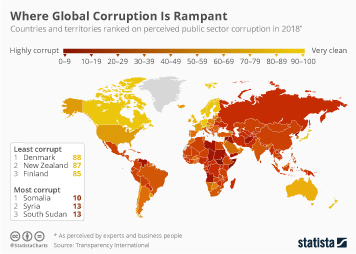 This chart shows countries and territories ranked on perceived public sector corruption in 2017.